Back in the beginning of December I wrote this post about my findings after researching for learning aids to help E now he is at big school. 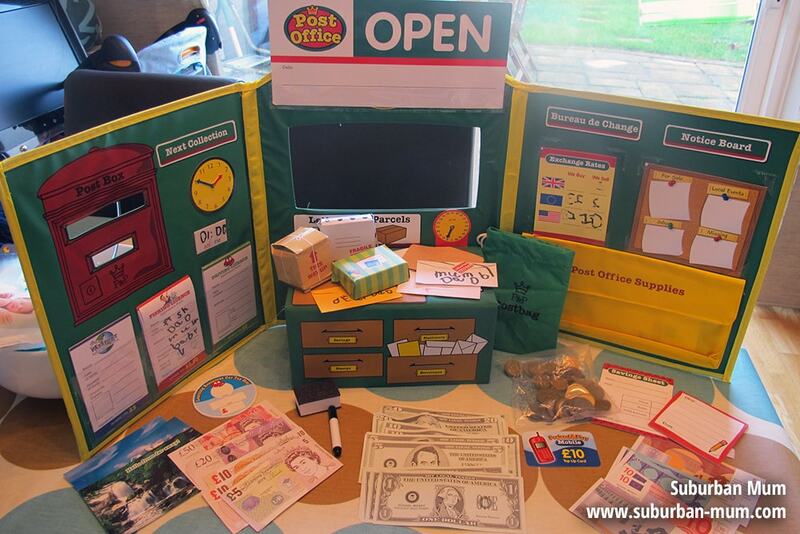 The lovely people over at Learning Resources very kindly sent me the Pretend & Play Post Office set to review. We received this a week before Christmas and I had all intentions to give this to E as a pre-Christmas treat. In the end I ran out of time so my husband and I decided that we would give this to E as one of the presents from Father Christmas. E was one very lucky boy and received everything (and more!) on his letter to Father Christmas which included things like board games, books, action figures amongst lots of other goodies from friends and family. The one thing by far, that he has played with most since Christmas morning is this lovely Pretend and Play Post Office set. 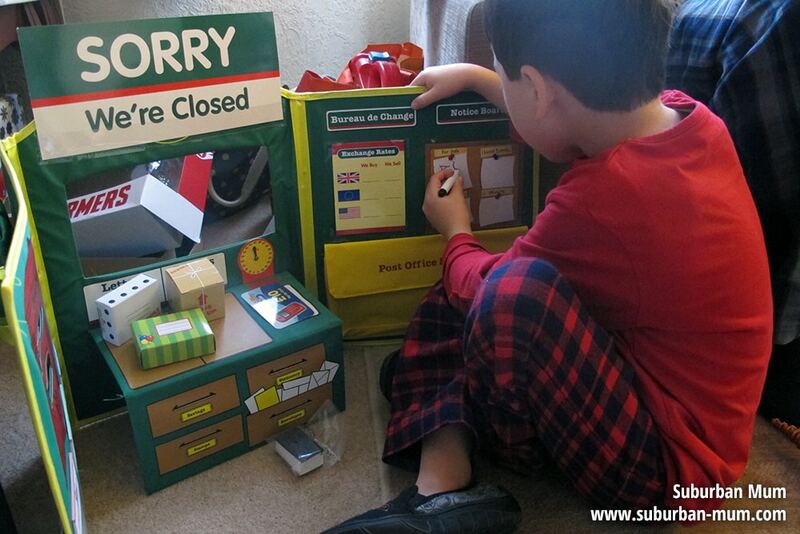 He has always LOVED imaginative play and this Post Office set really let him take the role of “Post Office owner” very seriously! The Post Office board is very sturdy, foldable and turns into a carrycase with handle which is very handy for storing all the cute accessories that come with this set. I was very impressed with the overall quality of this and both E and M spent most of Christmas day writing postcards and letters and then took to being the “postman” to deliver all the goods. They had hours and hours of fun. One thing which would make this even better for me, would be if you were able to buy refills of some of the accessories. The sticker sheets of stamps have mostly been use in E’s excitement to stick these onto everything and anything and the miniature parcels which have to be flattened down to be stored in the carrycase are already wearing a little thin. In time, the application forms will also run out so it’d be great to be able to re-stock up on these also. Regardless of this, I can see that this will be one “toy” that they will re-visit time and time again and as they both get older I am hoping to be able to use the pretend money and bureau de change section to teach them about currency and exchange rates. 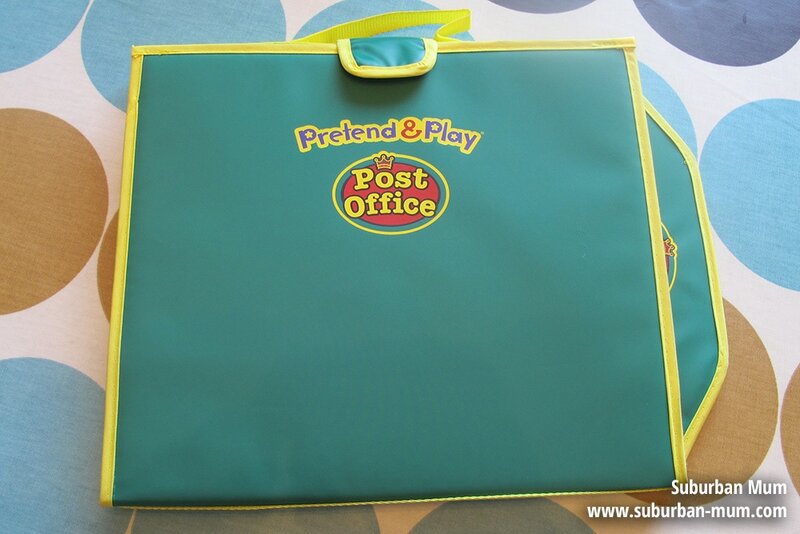 NOTE: The Pretend & Play Post Office set was sent to me with the purpose of writing an honest review in exchange for the items. All images and opinions are my own. What a fantastic set with loads of accessories. 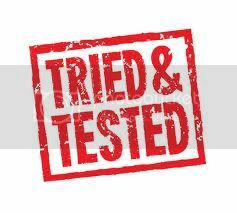 I do so love Learning Resources – having used their products at home and in my classroom I can’t fault them!